DELPHOS —Gardeners wanted! No experience necessary. Delphos has received several grants to start a community garden. Individuals and groups are invited to plant, tend and reap the benefits from a raised bed garden spot in Suever Park along South Bredeick Street. Amy Wiechart-Bayliff is spearheading the project with the help of Lima Allen County Neighborhoods in Partnership and the Allen County Creating Healthy Communities organizations. 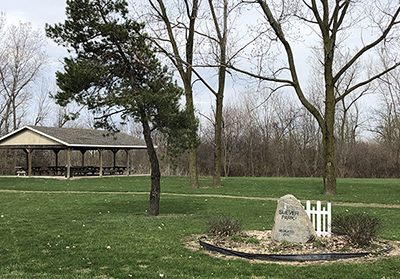 Wiechart-Bayliff took a community survey last year and found that out of 109 responders, 85 percent showed positive or very positive feelings about a community garden being started in Delphos. Wiechart-Bayliff would like to see 15 beds spoken for this first year. The 4-foot by 8-foot raised beds will be located north of the shelterhouse in Suever Park. There will also be ADA compliant beds available based on need. Garden beds will be assigned on a first-come, first served basis. There is no fee this year, however, donations will be accepted. For the 2020 growing season, a $10 fee will be asked. Van Wert County Extension has a large amount of seeds that can be provided to gardeners. People in the community planting their own gardens are also asked to donate extra plants. All gardeners are required to volunteer in at least one of the following roles: site monitor, grounds crew, tool crew, mentor or communications. Volunteers opportunities will also be available for the construction, maintenance and development of the garden. Registration deadline is April 24. The build date for the beds is at 9 a.m. April 27 with a rain date of May 4. All gardens must be planted by June 15. Interested gardeners can find an application at https://delphosherald.com/ftp/community%20garden.pdf or at the Delphos Public Library or the Delphos Senior Citizens Center. For questions regarding gardening, mentoring or volunteering, call or text 567-204-6556.